Jeep Simulator 3D is a free simulator game for Windows 8 and 8.1 devices. 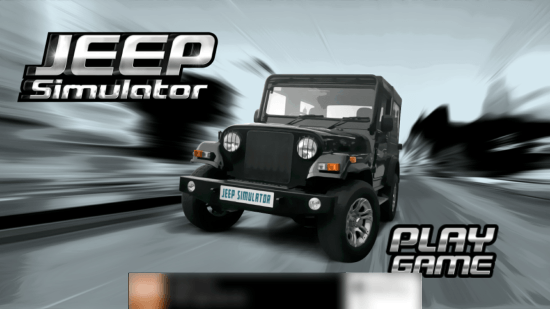 Developed by HungryPixels, this simulator game for Windows 8 lets you drive your Jeep around a city perimeter. Drive around in the Jeep freely on traffic free roads. This game gives you a realistic experience of driving a Jeep. The HD graphics are really catchy, and you get really good sound effects. So, begin playing this game and roam around the vast expanses of the city. This simulator game for Windows 8 takes only 35.3 MB of your computer’s disc space. 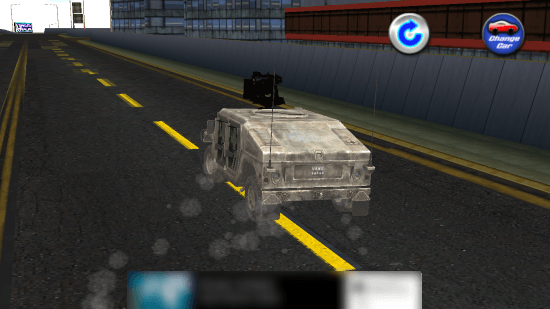 To install this game, search for Jeep Simulator 3D in the Windows App Store. You can also follow the download link given at the end of this article. Click on Install, and the simulator game for Windows 8 downloads and installs automatically. To play this simulator game for Windows 8, start the game and click on Play Game option on the home screen of the game. 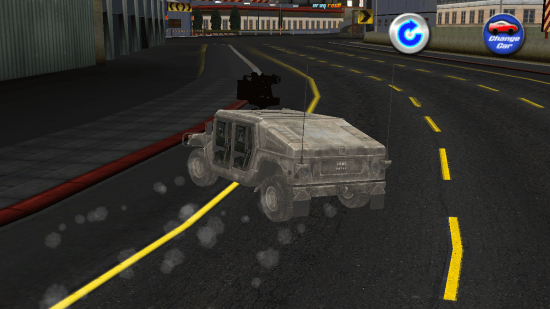 A Military Jeep appears on the screen as the game starts. Controlling the Jeep is pretty simple. Use the navigation keys, or WASD keys to control your vehicle. Start moving around the Jeep along the city roads. The controls and gameplay are realistic. There are not too many options in this game. The only two options available here are Reset and Change Car. There are two types of Jeep available to play this Jeep simulator game for Windows 8. The first car is an Army Jeep. This Jeep looks almost like a Humvee. It also has a machine gun attached to it; however, you can not fire that gun. Roam around in the Humvee, and click on Change Car if you want to drive another Jeep. The other Jeep is an old and rusty, green colored Jeep. The control of this vehicle is different from that of the Humvee. It has a different response, but its also fun to roam around in this Jeep. 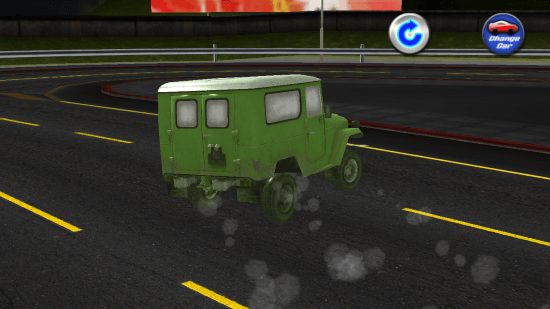 Driving these Jeeps in this simulator game for Windows 8 is a very good experience altogether. You can apply brakes, drift through the corners, and pull out various stunts. Its a pretty awesome simulator game or Windows 8. If you love racing games, then Jeep Simulator 3D is a must have game. The realistic graphics, sound effects, and controls make this game one of the best simulator games for Windows 8. Download Jeep Simulator 3D on Windows 8 and 8.1 computers.